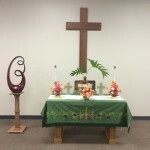 Elk Grove Presbyterian Church is inspired to introduce hearts, minds and lives to Jesus Christ-the Son of God-our comforter, friend, teacher and Savior. Our focus is not on issues, but rather about relationships with God that deepen the spirit and change lives. God’s never-ending love encompasses all people irrespective of backgrounds and viewpoints. You, your family and friends will find a warm welcoming, steadfast fellowship waiting for you at EGPC. Come visit us soon and see for yourself! Join us for the first steps on your journey to the uncommon freedom of a faith-driven, everlasting life. Rev. Dexter McNamara became our full-time pastor on April 1, 2015. Dexter is a graduate of UCLA and Princeton Theological Seminary. He spent 12 years in Denver, Colorado, serving in congregations and community programs. 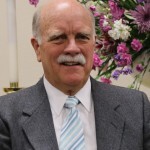 He came to Sacramento in 1983 to join the staff of Fremont Presbyterian Church, serving there until 1993. He subsequently worked with the Interfaith Service Bureau, California Emergency Foodlink, and Partners In Care. Dexter and his wife, Carole, have a combined family of 5 grown children and nine grandchildren…plus a very high-energy dog named Jackson.